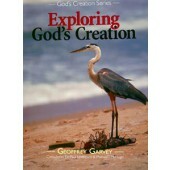 Bible Primer Book 1 in the series. 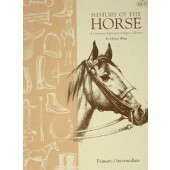 These reproducible books originated by Logos School are all you need to teach cursive handwriting. Grades 1 and up. Veritas Press. 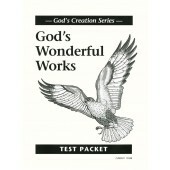 Ten Commandments Book 2 in the series. 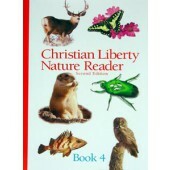 These reproducible books originated by Logos School are all you need to teach cursive handwriting. Students will practice lower and upper case letters as well as joinings, before moving on to write the ten commandments (with and without tracing). 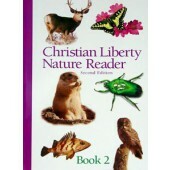 83 pages, softcover.Grades 2 and up. Veritas Press. 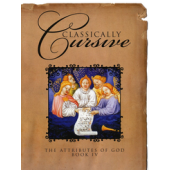 Classically Cursive, Book 4: The Attributes of God. 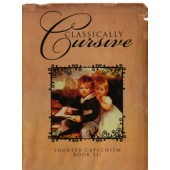 Classically Cursive curriculum is designed to provide spiritually beneficial examples to copy and learn. 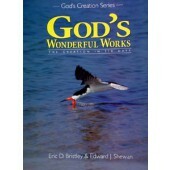 Third graders can work on their cursive writing utilizing the Attributes of God as their copy work. 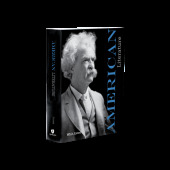 92 pages, softcover. 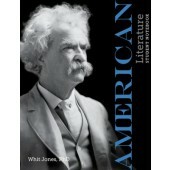 Veritas Press. 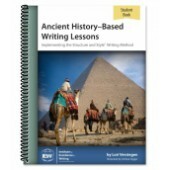 In this yearlong course students will write about six major ancient civilizations—Sumer, Egypt, Israel, Babylon, Greece, and Rome—while working progressively through the nine IEW units and a variety of stylistic techniques. This Student Book includes assignments, blank outlines, source texts, checklists, vocabulary cards and quizzes, and grammar practice. These lessons are designed to be used by an instructor who has been through the Teaching Writing: Structure & Style seminar, either live or on DVD. 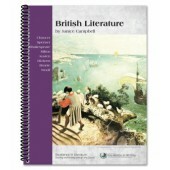 Note: The purchase of this book entitles its owner to a free download of the following: Student Resource Notebook; (Instructions for download are located inside front cover of book.) 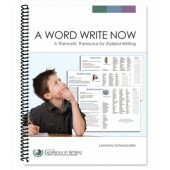 Perfect for homeschoolers, homeschool co-ops, tutors, and hybrid schools, this theme-based writing curriculum supports parents and teachers in teaching writing to elementary and early middle school students (grades 3–6). From Institute for Excellence in Writing. 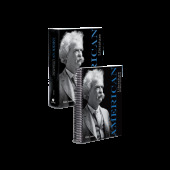 Note: If you wish to purchase a Teacher's Edition, it is recommended that you purchase the Student/Teacher Combo (Item #2235). 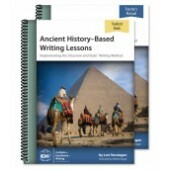 In this yearlong course students will write about six major ancient civilizations—Sumer, Egypt, Israel, Babylon, Greece, and Rome—while working progressively through the nine IEW units and a variety of stylistic techniques. This Student Book includes assignments, blank outlines, source texts, checklists, vocabulary cards and quizzes, and grammar practice. 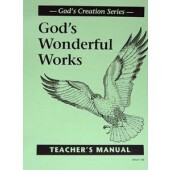 The Teacher's Manual gives tips for creatively teaching each lesson, hints for grammar instruction, and more. 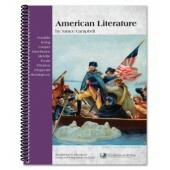 These lessons are designed to be used by an instructor who has been through the Teaching Writing: Structure & Style seminar, either live or on DVD.Note: The purchase of this book entitles its owner to a free download of the following: Student Resource Notebook; (Instructions for download on located on the Blue Page in the front of the book.) A printed spiral-bound copy of the Student Resource is also available for purchase (Item # 0713) Levels A & B, Grades 3-5 & 6-8. From Institute for Excellence in Writing. [NOT AVAILABLE] This book is in its final development stages and will not be available until Summer 2019. Please check back then to purchase. Thanks for your understanding. 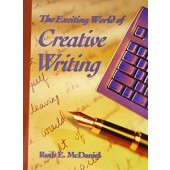 A wide variety of adventures will supply a rich foundation for imaginative and enjoyable writing. 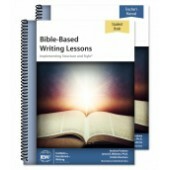 This theme-based writing curriculum offers a full year of instruction for students in grades 3–5 and is perfect for homeschoolers, homeschool co-ops, tutors, and hybrid schools. 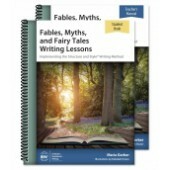 Your students will work through IEW Units 1–7 as they learn to take notes, retell narrative stories, summarize references, write from pictures, and compose their own fables, myths, and fairy tales. 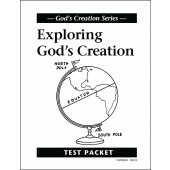 Includes vocabulary cards, literature suggestions, and access to helpful PDF downloads. Need extra student books? See item 5383. Note: The Student Resource Packet is a necessary component of this course. 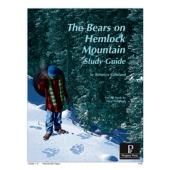 This supplemental resource is included with your purchase as an e-book for you to download and print, or you may purchase it printed with a binder, item 7819.